As a child I used to love putting on my favourite Disney videos and singing along to all the fantastic songs as loud as I could. My friends would come round and we would dress up as our favourite characters and make up our own dance routines to the songs. As I have grown older my love for Disney has never disappeared, and now that I am a mum, I have the added bonus of being able to enjoy all things Disney along with my children, and having just as much fun now as I did when I was young. It was at the beginning of 2012 that I first became aware of the Disney on Ice productions, and knew that this was something we would have to attend as a family. It sounded amazing and I couldn't wait to see the concept, the story, the performers, the show, the music, just absolutely everything, and experience the Disney magic! On March 23rd 2012 we attended our very first Disney on Ice show at the Echo Arena in Liverpool, and it was safe to say that we were definitely not disappointed. There was something for everyone, and the show featured all of the popular Disney characters and songs, as well as exceptional performances by some very talented ice skaters. Since our first visit to the show, we have gone on to enjoy several other Disney on Ice shows, all of which tell a different story and never seem too similar to the previous ones. 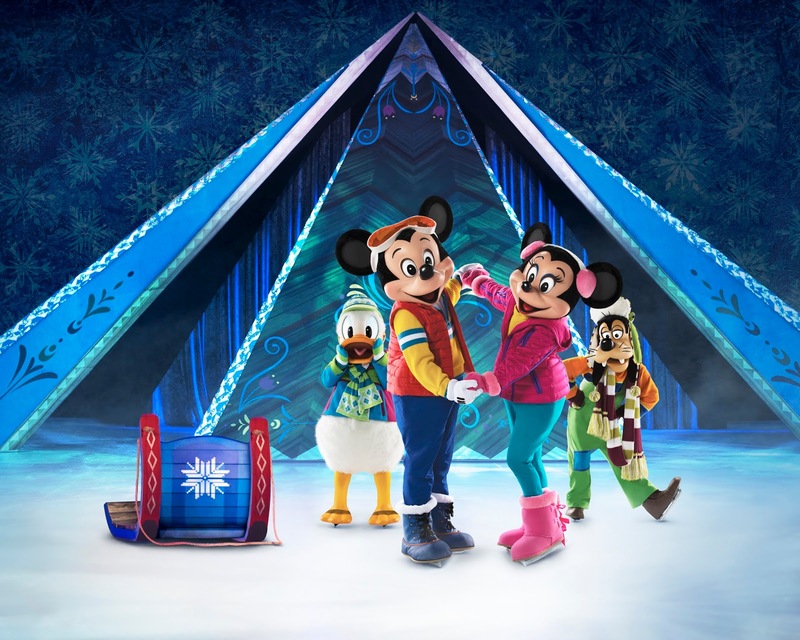 We were therefore extremely excited to learn about the new production "Disney On Ice presents Frozen", which is heading to the Echo Arena from the 30th November to the 4th December for 10 magical and mesmerizing shows. Disney's Frozen was a huge hit in our household when it was released back in December 2013, and the soundtrack has also been played many a time both at home and in the car. Like many others, we literally could not get enough of singing the musical masterpieces "Let it Go" and "Do You Want to Build a Snowman?" on a daily basis. It is therefore literally quite perfect for us, that Feld Entertainment, Inc. have decided to bring, the number one animated film of all time, to life on the ice. The production will tell the story and capture the dynamic of the two Royal sisters, Anna and Elsa. It will follow Anna's epic journey to find her sister, whilst featuring loveable snowman Olaf, rugged mountain man Kristoff with his loyal reindeer Sven, and the mystical trolls who will all help Anna on her quest. It is a beautiful representation of how love can conquer fear and audiences will be able to sing along with all the musical masterpieces whilst following the story, which is sure to keep audiences both young and old captivated from beginning to end. 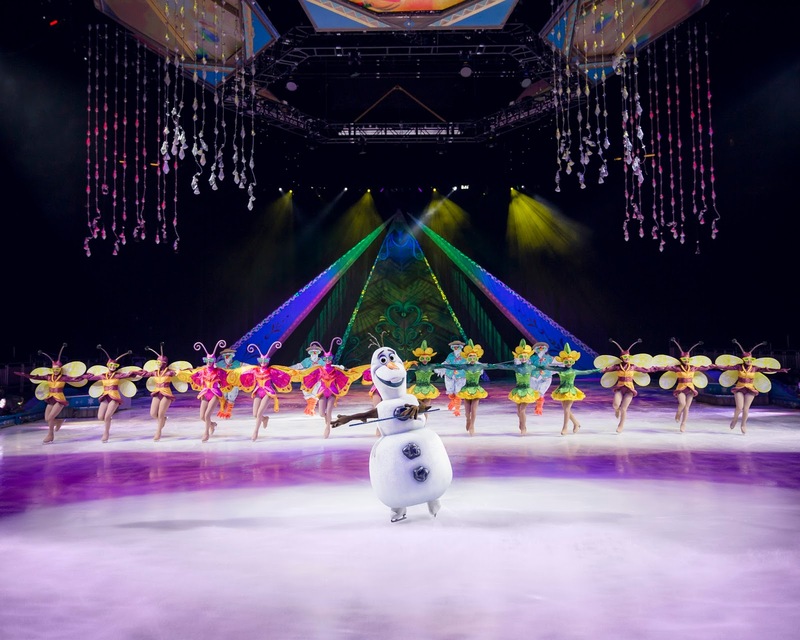 "In our more than 30 years of producing Disney on Ice shows, Feld Entertainment has been waiting for a film like this," says producer Nicole Feld. 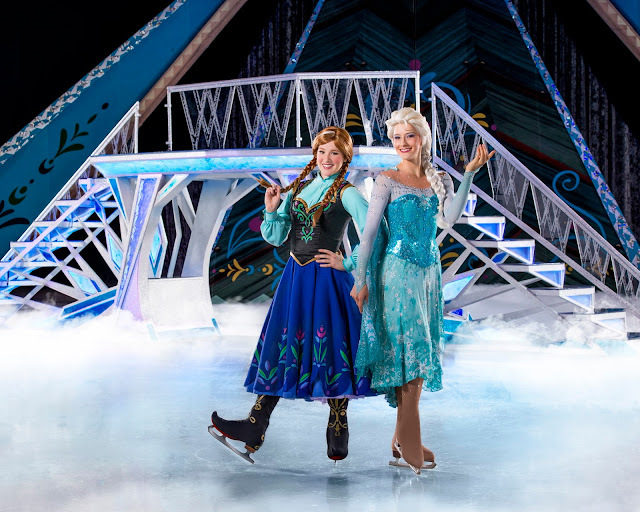 "While it might seem obvious that Frozen is well suited for the ice, this Disney On Ice production will touch audiences emotionally through innovative show elements and world-class skating." One thing that I really love about this upcoming production is that not only are they presenting the story of Disney's Frozen on the ice, but they are also featuring special appearances by beloved Disney princesses and favourite characters from Disney Pixar's Toy Story and Finding Nemo, as well as Disney's The Lion King. In addition to all of these, the production will of course also feature the wonderful Mickey Mouse and Minnie Mouse, who will be taking the audience through the magical story based in Arendelle. The production will bring together an immersive experience for the audience, with state of the art special effects, powerful skating and an impressive set design that will encompass the space from the ice surface up through the air, which to me sounds absolutely fantastic. To celebrate this wonderful upcoming production, please be sure to visit the blog tomorrow where we will be launching a fantastic competition to win a wonderful Disney on Ice presents Frozen goody bag, packed full of wonderful toys and treats, as well as providing you with some really fun and interesting facts about the show! About the venue: The Echo Arena, is one of my favourite entertainment venues, as it offers fantastic road and rail links from where we are in North Wales, as well as neighbouring counties such as Cheshire, Manchester and Lancashire. There is plenty of parking available on the Liverpool Waterfront Multi Storey car park, which costs £7 to attend events at the arena. We usually opt to travel by train though and make a day of it, with our return train ticket from North Wales to Liverpool costing us just under £18 with a family and friends railcard. There are ample attractions, restaurants, and activities along the waterfront too which makes for a great day out, tied in with a show at the arena in the afternoon or evening. If you would like any further information on the production or venue, then please check out the links above.